58723, Used Rims, 17X7-1/2, 5 LUG, 112mm, 00-02, AUDI, S4, 45mm OFFSET, 6 SPOKE, ALLOY. 58777, Used Rims, 18X8, 5 LUG, 112mm, 04-05, AUDI, S4, OPT CS1, 45mm OFFSET, SILVER, 6 SPOKE, ALLOY. 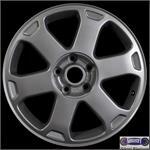 64777, Used Rims, 14X5-1/2, 4 LUG, 100MM, 92-96, MAZDA, MX3, SILVER, ALLOY 6 SPOKE. 45MM OFFSET. 64803, Used Rims, 15X6, 5 LUG, 4-1/2", 98-02, MAZDA, 626, ALUM, 7 SPOKE, 45MM OFFSET. 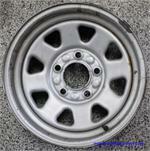 69829, Used Rims, 18X8, 5 LUG, 112MM, 06-08, VW, PASSAT, 10 SPOKE ALUM. 45MM OFFSET.